The Acura TL comes powered by a strong V6 engine and offers sporty styling and a spacious interior. A sporty Type-S model adds a sports-tuned suspension and stronger V6 engine. 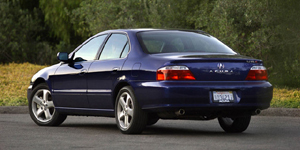 Get the best price for the Acura of your choice from a dealer in your area. Request a price quote now.